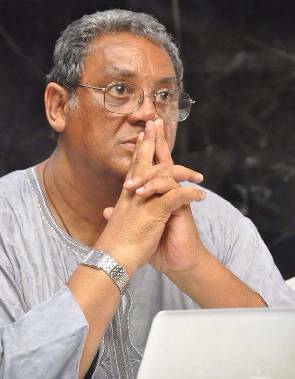 The former National Chairman of the New Patriotic Party (NPP) Jake Obetsebi Lamptey is dead. Reports indicate that he died on early Sunday morning in London. There were social media speculations in December 2015 that Mr. Lamptey had died but he was alive, receiving treatment from an ailment in South Africa. Jake’s political life From 2005 to July 2007, Obetsebi-Lamptey served as Minister of Tourism and Diasporan Relations in the cabinet of President John Kufuor. Previously Obetsebi-Lamptey was Minister of Tourism and Modernization of the Capital (2002–05) and Minister of Information (2001–02). He was the National Campaign Manager of the victorious New Patriotic Party (NPP) during the 2000 Presidential elections, which saw the first constitutional (civilian-to-civilian) transition of power in that country. 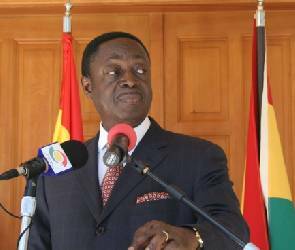 He resigned his posts in July 2007 to campaign for the NPP nomination for the 2008 Presidential elections.